It’s coming up on Repeal Day again. That is, the official National Repeal Day. 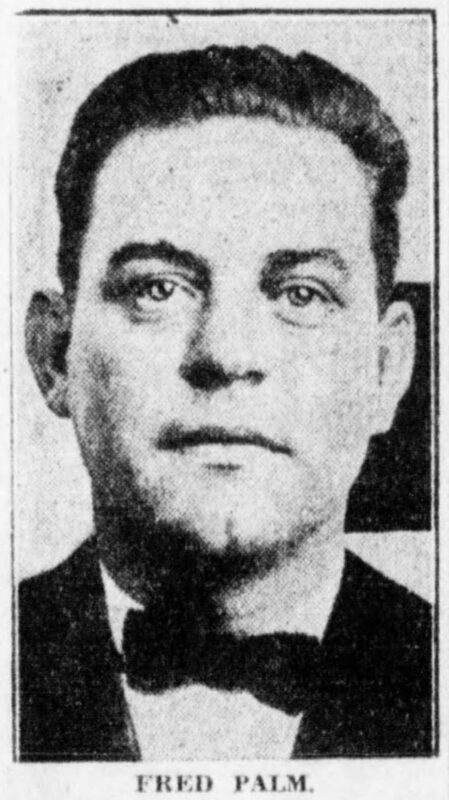 Since I’ve already covered what Detroit looked like on Repeal Day 1933 (spoiler: pretty lame, sadly) a couple of times, I thought I’d take a look at some of the victims of our zealous and probably ill-advised desire to do away with spirits. 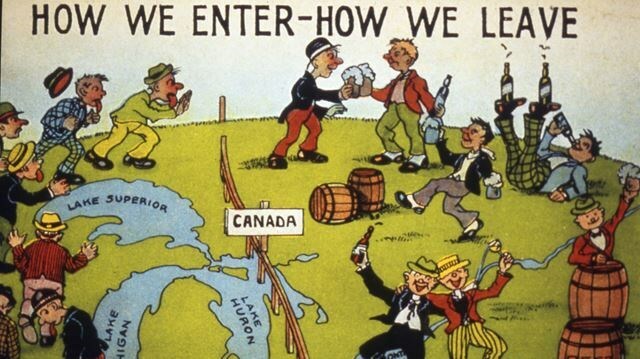 From the beginning, enforcement of national Prohibition was fraught with problems. 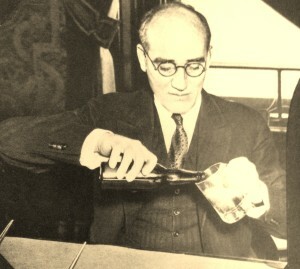 The Volstead Act, which laid out the rules for enforcement of the 18th Amendment, prohibited the manufacture, sale and transportation of alcohol–but not necessarily consumption. Therefore, possession of liquor became a sticky crime to prosecute. 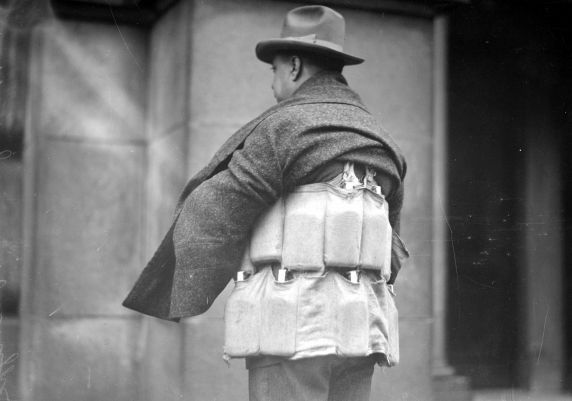 As Prohibition wore on and the production and running of booze were gradually taken over by organized crime, Michigan legislators and the few honest enforcers grew increasingly desperate to find a solution to the waves of crime. Hysterical Congressmen insisted that the only solution to Michiganders’ open flouting of the law was stricter laws. Never mind the fact that enforcement of the laws already on the books was laughably inconsistent. So, on September 5, 1927, a new statute went into effect across the state. Liquor violations had recently been classified as felonies in Michigan, which was already a dubious decision, as evidenced by the mockery we faced in the national press. Under the new statute, anyone convicted of a fourth felony–for whatever crime–was issued a mandatory life sentence. No exceptions. Just a couple of weeks later, Fred Palm returned to his Lansing home to find his wife and neighbors having a shindig. A hootenanny, a frolic, a bash, maybe even a petting party, if you will. Then Lansing dry officer Frank Eastman and others raided the place. There they encountered Palm attempting to exit through a cellar window. They confiscated a bottle with less than a pint of gin in it, which Palm allegedly tried to toss out the window in order to break it (no booze=no sentence), but the bottle survived. Palm later swore that he’d grabbed the bottle and tossed it because he was so terribly disappointed in his wife for breaking the law. The jury didn’t buy it. He was convicted of possession of alcohol. Fred, 29 at the time, didn’t exactly have a squeaky clean record. He’d been busted as a teen for burglary, counterfeited a check, and once Prohibition took effect, got caught 5 times on liquor violations. His most recent, in July 1927, happened when he was stopped in front of the Olds Hotel and two pints of gin were found in his car. He skipped out on his bond. This turned out to be an absolutely terrible decision. Had he pled guilty to that offense, the longest term he would have served would have been 90 days. And he’d have been in jail during his wife’s party. And, crucially, poor Fred Palm would not have served as the national example of that “habitual offenders” rule that went into effect just before police showed up at his door. There were all sorts of problems with Palms’s trial. Had Palm actually been holding the pint of gin? If so, did that really count as a felony? Possession without proof of sale should really have been a misdemeanor, not a felony. The law was already pretty murky, but Lansing Judge Leland Carr pushed the case through. To add to the scandal, in 1929 the arresting officer, Frank Eastman, confessed to planting the evidence, saying that he didn’t realize that Palm would be up for life imprisonment, but that he’d held his tongue anyway. Judge Carr didn’t bother informing the jury of the new statute, so when they convicted Palm of what they thought was a minor offense, they were outraged to find that they’d just mandated a life sentence for Palm. Fred Palm appealed to Governor Fred Green, who was only able to commute his sentence to 7-1/2 years to 15, with no chance of time off for good behavior. Palm was among fewer than two dozen people sentenced to life in prison during the brief enforcement of the statute before it was stricken, but only four people in Michigan’s history were sentenced to life for having committed liquor violations. The others were Tony Popish, Channie Tripp, and Mrs. Ella Mae Miller. Mrs. Miller’s case stirred national outrage too: she was a disabled mother of ten whose husband was already serving time for running a blind pig, and she was arrested because the only way she could stay solvent was to continue the operations. Mrs. Miller’s case went to retrial on the request of the governor, and the state generously found no grounds for prosecution. Popish was a rather more dangerous character, and Tripp got off quickly on a technicality. But they threw the book at Fred Palm. He took it all the way to the U.S. Supreme Court, but they refused to alter the case, so Palm languished in prison. By November 1932, Michigan prisons held 297 people serving 6 months or more for Prohibition-related offenses, and more than 2,000 serving between 30 and 90 days. Once Prohibition was repealed–in April, or May, or December of 1933, or even January 1934, depending on what regulations you’re looking at–the process of sorting out what to do with all these folks who’d broken a law that was no longer a law began. Governor William Comstock promptly pardoned everyone he could find, beginning as early as November 1932. He took some heat for it, despite the fact that by then pretty much everyone knew Prohibition was an utter failure. Judge Carr’s promise that strict sentencing on people like Palm would be “a death blow to bootlegging” was obviously laughable. More people agreed with a prison warden who called the outdated statute “obnoxious” and “barbarous” and declared, “It collects the driftwood into our jails and leaves untouched the main strata of criminals.” Finally, after serving 5 years and nine months of his life sentence, Palm was pardoned and released by Comstock on July 14, 1933. Fred Palm had been a model prisoner, learning the barbering trade while in the slammer. He saved up the ten cents he made from fellow prisoners for a shave and a haircut, and, upon release from prison, moved to Toledo, where he set up as a barber. He drops from the historical record there, so I’d like to think that Fred Palm and his wife held a big old party on his release, continuing the one that had been interrupted in 1927. And hey, if you’re not planning anything for Repeal Day (the official national one), check out the following spots doing fun stuff. I’ll probably turn out at one or two. Next Post What Ho, Flapper?